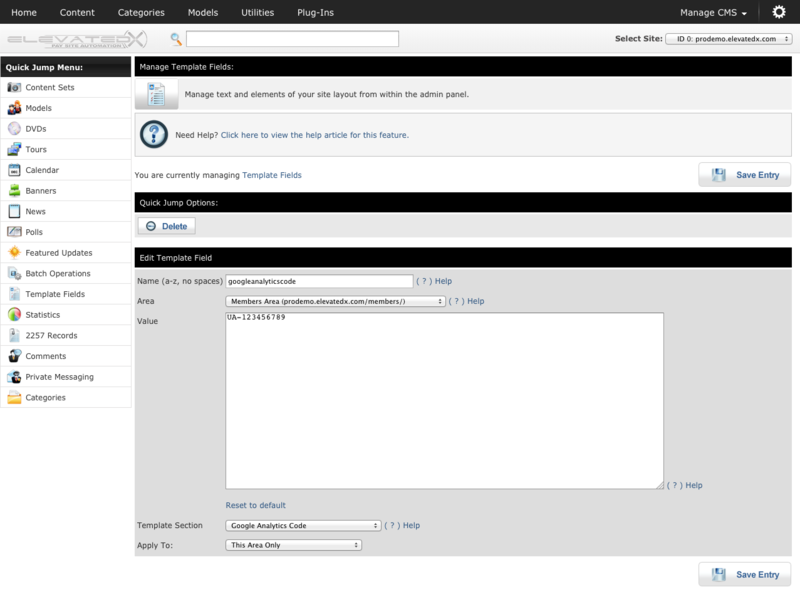 For CMS installations or upgrades later than March, 2012 your /smarty/smarty_folder/general/page_top.tpl template should already contain the Google Analytics code between the <head></head> tags. Previous 3.2 version templates may contain this code in the /smarty/smarty_folder/general/page_bottom.tpl template. 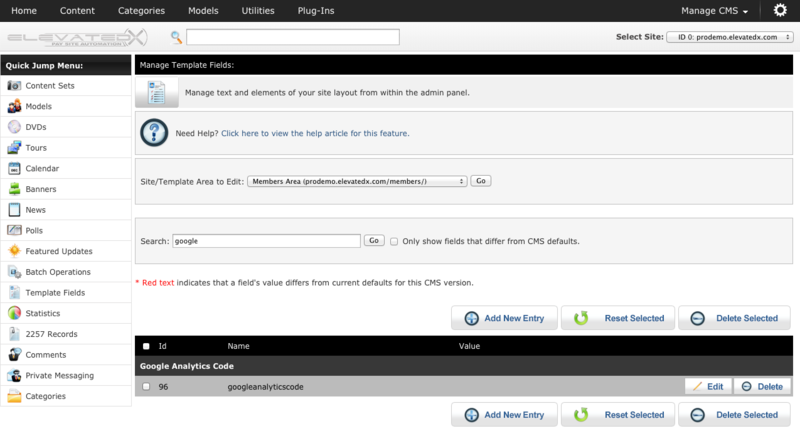 To use Google Analytics, log into your CMS admin panel and click Plug-Ins >> Template Fields. You'll see a field named Google Analytics Code. Click "Save Entry" and your ara will now have the Google Analytics code embedded.